What if seeing the world from above allows us to better understand where we are and where we want to go? Incorporating insights from geographical information systems (GIS) and dronography, Ramsey will explore how viewing the world from a “big picture” perspective helps us to see trends and patterns that affect our thoughts and behaviors. Sometimes the “big picture” can be daunting and intimidating, but with the correct data and visualizations, we can begin to better understand problems, visualize solutions, and make faster and smarter decisions to transform our world. Ramsey will supplement his talk with drone imagery to demonstrate the importance of geographical awareness, and he will conclude with ideas to help inspire people to approach problems with a spatial mindset so that they can continue to drive transformations guided by insight. 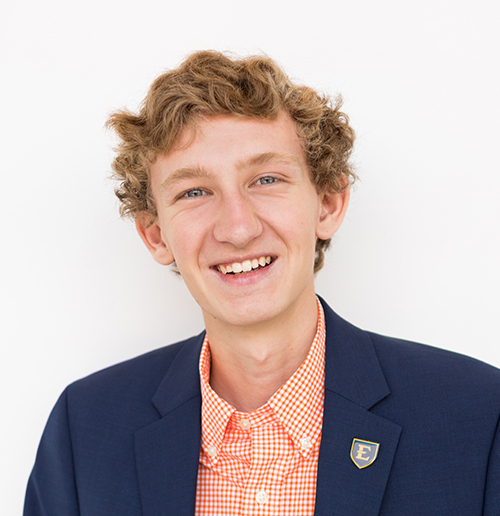 AUSTIN RAMSEY is a Roan Scholar at East Tennessee State University, majoring in computer science. While only a middle school student, Ramsey created a business focused on providing DJ services. Since that time, he has created a computer consulting business and, most recently, started a business venture providing dronography services. Ramsey is the youth leader of the National 4-H GIS Leadership Team and has competed at and spoken at state and regional GIS conferences. In 2016, the Sullivan County Local Emergency Planning Committee awarded Ramsey the Community Impact Appreciation Award for his use of technical skills to benefit emergency planning in the county.